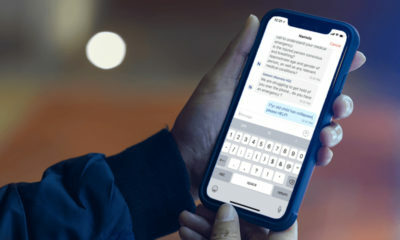 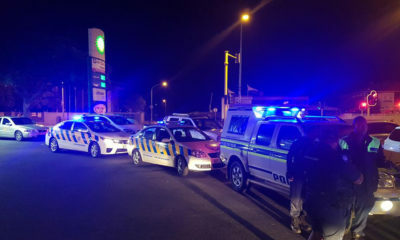 The swift response of SAPS members to an armed robbery in progress at a grocery store in Milnerton and our subsequent investigations resulted in the apprehension of six suspects in total. 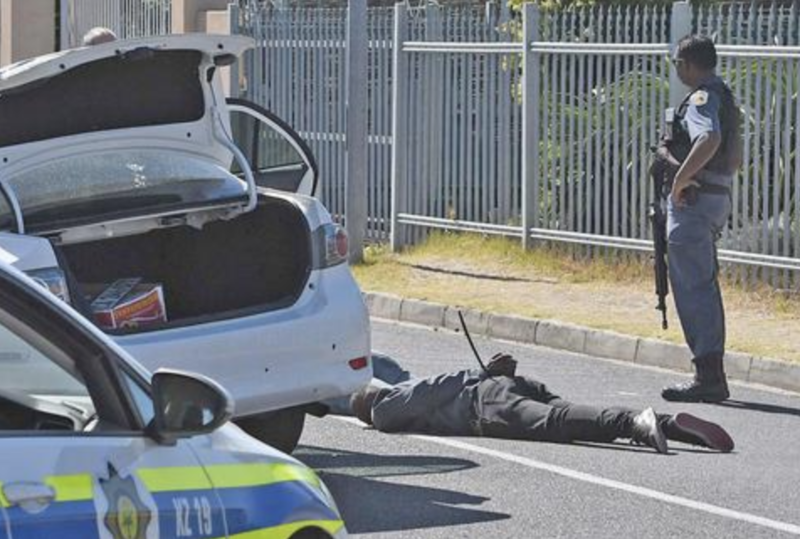 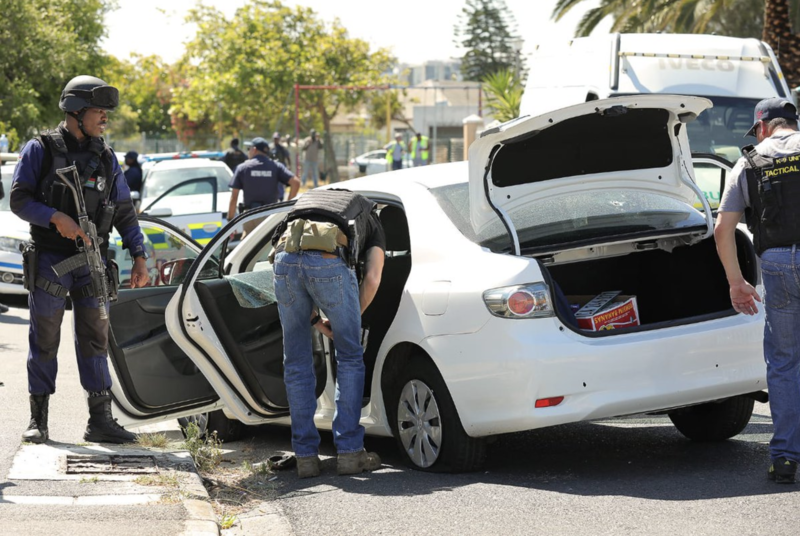 On Friday morning at around 08:50 members attached to the Western Cape K9 unit reacted to a complaint of armed suspects robbing a business on the corners of Koeberg Road and Madeira Street, Tygerhof, Milnerton. 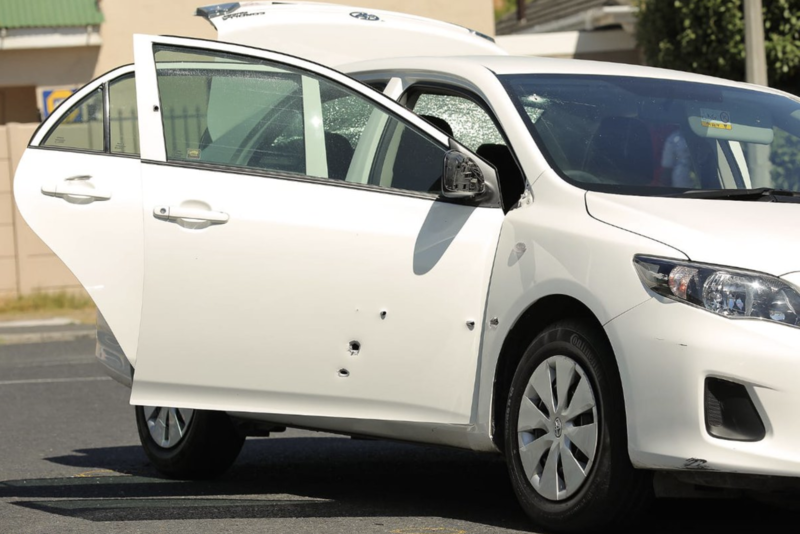 Upon their arrival, the members spotted the suspects fleeing the scene in two vehicles, a Toyota Prado and a Toyota Corolla. 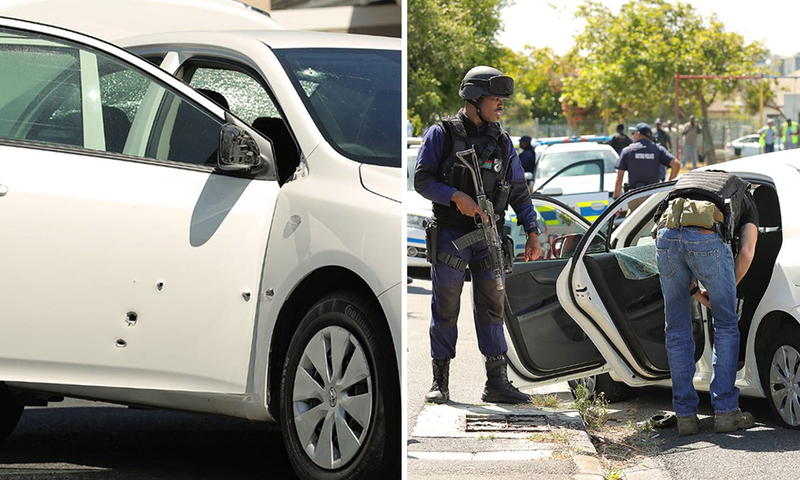 During an exchange of gunfire between the four suspects in the Corolla and the police, three suspects were wounded. 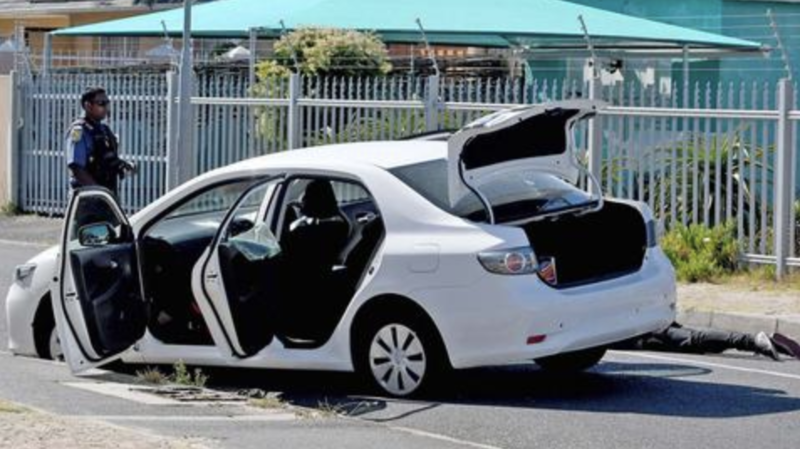 All four suspects aged between 25 and 35 were arrested, while their accomplices in the Prado managed to evade arrest. 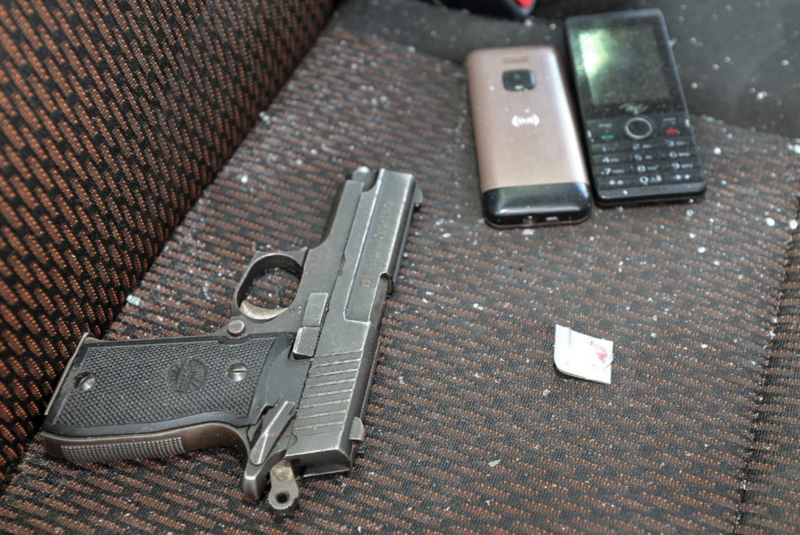 Four firearms comprising three 9mm pistols and a .38 revolver were recovered, together with the stolen cash and cigarettes. 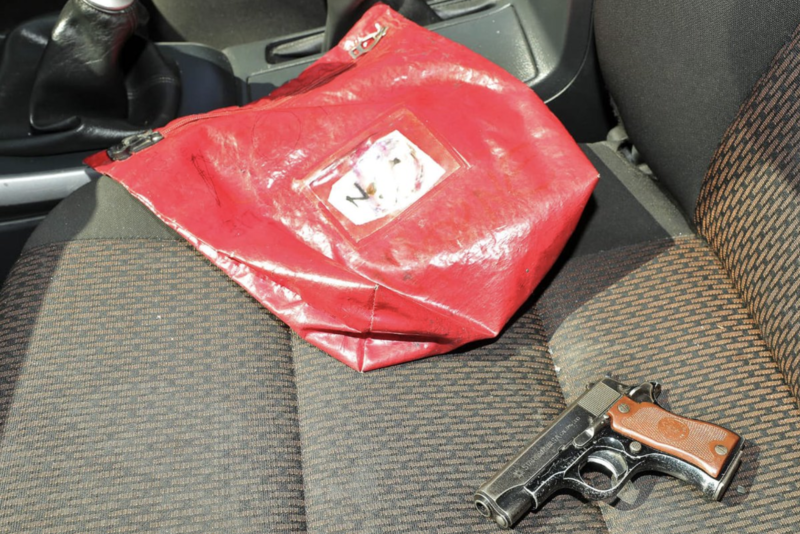 A search of the area led to the arrest of a fifth suspect who fled the scene on foot shortly after the incident. 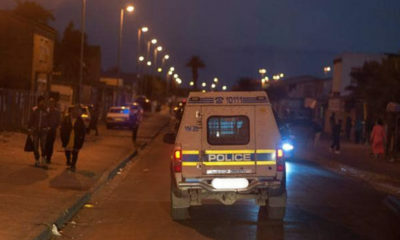 He was found hiding in the garden of a residence close to the crime scene. 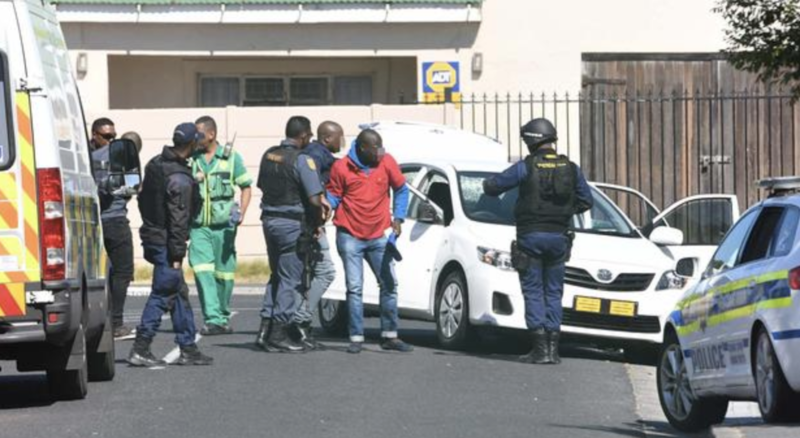 Further investigations resulted in the arrest of a sixth suspect yesterday at his residence in the Milnerton area.